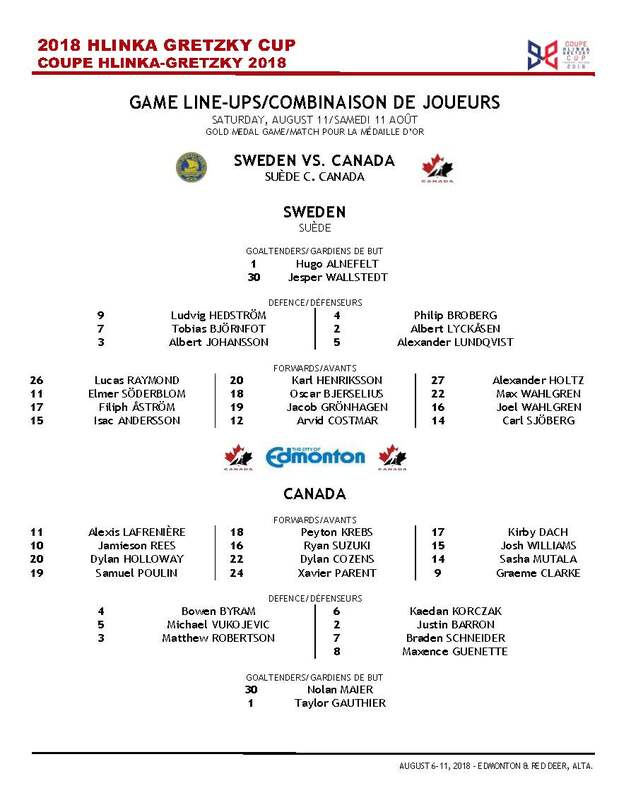 In a game that was very different from the first time these teams met in the tournament, Canada scored four goals in the first period, giving them the difference they needed to beat Sweden 7-3 in the 2015 Ivan Hlinka Memorial Cup Final. Pierre-Luc Dubois scored the first two goals of the game and later added an assist. Shots: 35:18 (16:1, 14:10, 5:7). Penalties: 5:5, plus Howden, 5+DKÚ. PP goals: 2:2. SH goals: 0:0. Referees: Hodek, Šír – Gebauer, Lederer. Attendance: 654. 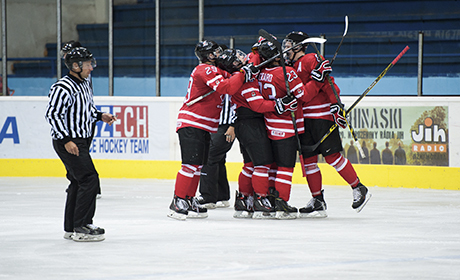 While both of yesterday’s semi-finals ended with just three scored goals, in today’s gold medal game Canada scored four in the first period. The game did not even remain scoreless for two and a half minutes before Pierre-Luc Dubois skated into the middle of the zone and got the puck through. The same player made it 2–0 nine minutes later at the end of a power play. With four minutes left in the first, Mike McLeod got a rebound in front of the goal and scored, although he went down on the ice after a stick attack from one of the Swedish defenders. Another Canadian celebration came just 55 seconds later, when Tyler Benson found a way of getting the puck into the net through Filip Gustavsson. Four goals in not even 17 minutes was too much for the young Swedish goaltender, so coach Torgny Bendelin decided to replace him with Isak Wallin. Canada played well and had the game under control. It took the team in red longer to score in the second, but Tanner Kaspick made it 5–0 shortly before the game´s midpoint. Key to his success was the power he used in the goal crease to get the black piece of rubber across the line. The Scandinavians scored their first goal in the 34th minute. Jesper Bratt burned Canadian goalie Dylan Wells with a quick one-timer after a nice pass from behind the goal. 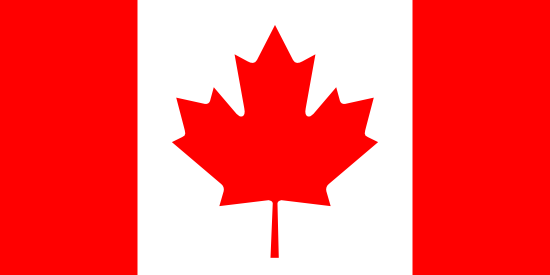 But the country of maple leaves restored their five-goal lead before the end of the period. Jordan Kyrou got the puck at the right face-off circle and shot it over Wallin’s catching glove. With just 18 seconds gone in the last period, Canadian captain Brett Howden was given a major penalty and game misconduct for slashing, which suddenly gave the Swedes a bit of a chance. The team in yellow kept battling and scored not one, but two goals on the power play. First it was Alexander Nylander, who scored from the slot over Wells’s blocker. His mate Wiliam Fallstrom tried it from a similar position one minute later and scored a beauty to the top corner. The Swedes didn’t give up and kept skating towards their opponent’s goal, but Canada played with patience and well on defence. Nine minutes before the end Beck Malestyn made everybody sure that his team would win the game. The young forward finished into the empty net a nice combination of the whole line. And a few minutes later it was it. 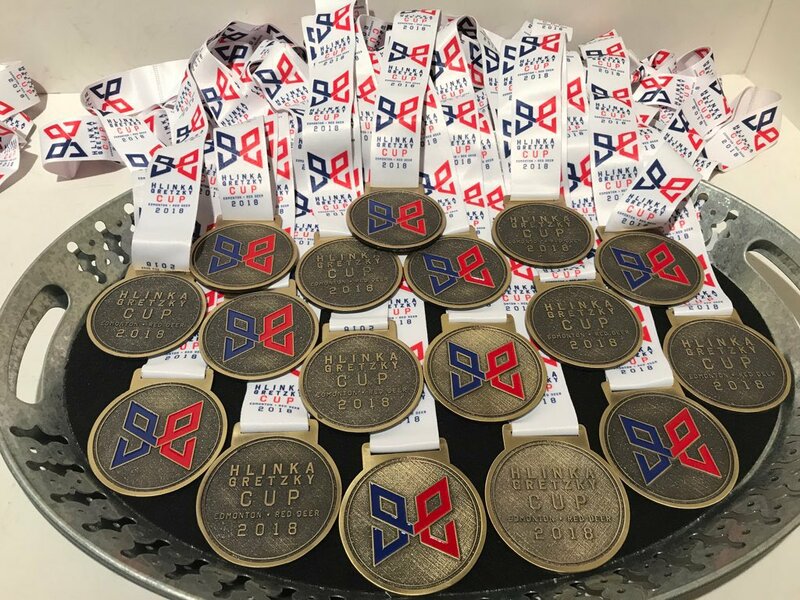 The Canadians won the Ivan Hlinka Memorial Cup for the 20th time in the 25-year history of the tournament. Stan Butler (head coach of Team Canada): I´m really proud of this group of players. They all pulled together for one thing. We told them when we got here: this is about one team and one goal. We were one team and we chased one goal, which we got here today. I think we had a big scare with the Russians last night and we wanted to make sure that didn´t happen again today. We wanted to play our best game today and we got off to a good start. We probably deserved more goals in some of the other games, like last night, but today we got to the point where we needed to score. 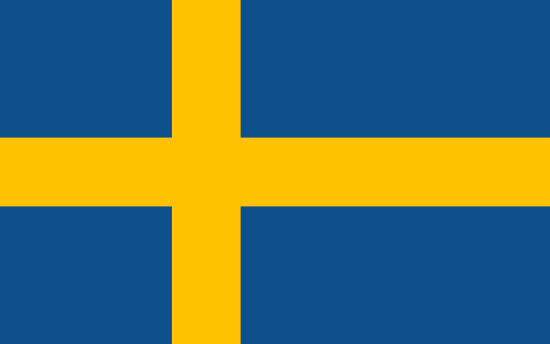 Torgny Bendelin (head coach of Team Sweden): I´m very disappointed. We didn´t have the energy. But I am happy that even though the first two periods were very bad, we didn´t give up, the boys gave everything into the third period and we won the period. We were spoiled by the excellent play of our goaltender, but today he needed our help and he didn´t get it and they got a few easy goals. We won the silver medal, which is not easy. During the 12 days we played eight games, six of which we won, so I´m proud of the whole team.